Finishing this short collection of contemporary Nordic writing, I have an overwhelming sense of a region suffering trauma. Or at least a group of authors from that region expressing the effects of various kinds of stress: destruction of the environment; parents who are either damagingly negligent, or overbearing to the point of harm; relationships on the point of ending; the aftermath of a breakup. Nowhere in this collection is this sense stronger than in Rosa Liskom’s “A World Apart” – a selection of her brief fictions, all focusing on people in straitened circumstances: alcoholics; prescription drug addicts; a prostitute; a woman only just surviving on benefits. Finnish author Liskom tells their stories in a punchy, first-person present voice. The effect is powerful: both admirable and depressing, as, in some ways, is this whole book. 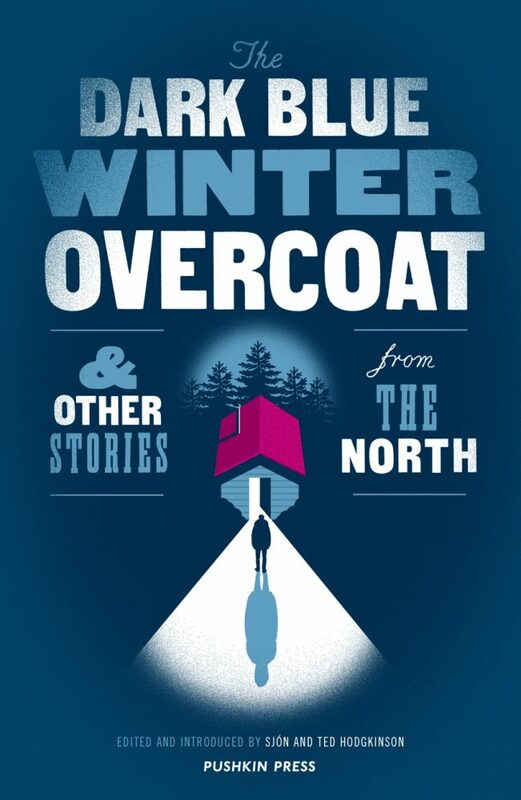 Wondering whether this was the editors’ intention when they brought together this collection – to focus on the “dark” and the “blue” aspects of the North – I flick back to the introduction, a conversation between Sjón and Ted Hodgkinson. I find Sjón discussing “the author’s power to be a voice of change by revealing society’s ills with literary means” [my italics]. Later he describes what he sees as literature’s role: “the few moments of warmth that come from sharing a story, a chance for people to compare their fate”. I note that the warmth here is in the act of sharing those tales, not in the stories themselves. Because, while there are moments of warmth and humour in this collection, it is the difficulties, the stresses, that dominate. Perhaps these stresses and these traumas are responsible for another major theme that seems to run through the collection: that of transformation, of metamorphosis. In the title story, from Finland, by Johan Bargum, the narrator visits his estranged father, only to find he has turned into a dog (or believes he has). Hassan Blasim’s Iraqi bus driver in “Don’t kill me, I beg you. This is my tree”, calls himself “The Tiger”; but his “claws” have really “dripped with blood” back in the water wars in his home country. Blasim is Iraqi-born but lives in Finland. More conventionally, the Norwegian writer Kjell Askildsen in his story draws a comparison between a couple struggling either to stay together or to part and “the dogs in Thessaloniki that got stuck together after they’d mated”. But it is in perhaps the most conventional, and perhaps the best, story in the collection that the intersection of personal trauma and transformation is most evident. Frode Grytten’s “1974” is a master class in short-story writing. It sees the narrator – a teenage boy; his country – Norway; and even the world, at the point of transformation. In 1974 the boy witnesses the violent complexities of his parents’ relationship and experiences his own sexual awakening, and thus enters the adult world. At the same time, we are told, “1974 was the year with the greatest number of working-class people in the world … social democracy reached its peak … all visions were within reach … After that … the world changed direction with Margaret Thatcher and Ronald Reagan”. Four decades on, “Our present world of conflict and climate change”, as Sjón describes it, needs a chance “to discover [a] common humanity”. Sad, dark and blue as it is, this collection certainly provides that.